Just as they did at last year’s Google IO, Google has today announced the release of a developer preview of the next version of Android during the keynote of the 2015 conference. 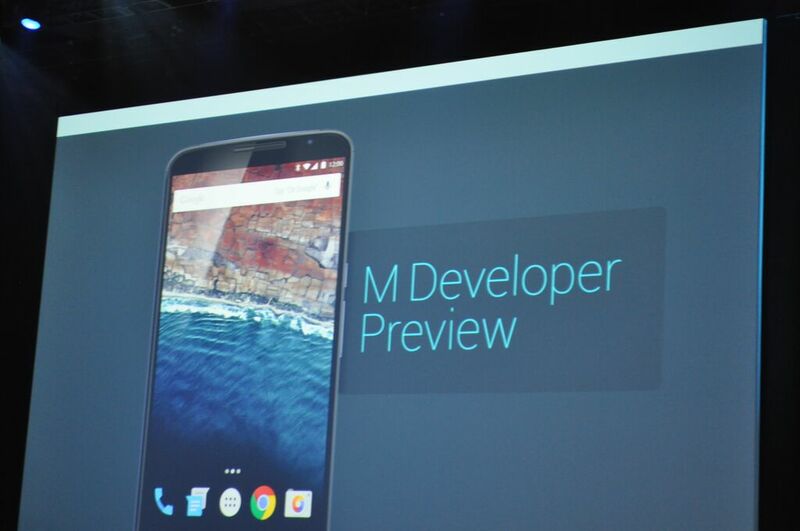 The Android version M developer preview was the first announcement of the 2015 keynote. Dave Burke, VP of Engineering at Google took to the stage to tell us that Version M will focus on improving the core user experience, rethinking the fundamental aspects of the platform. Firstly the App Permissions are gaining an overhaul, gaining what some custom versions of Android already do, ask for permission as you use it, rather than an all in one when you install the app. This is something I have used on the Meizu Android experience and think it is a big improvement over the mess that currently is permissions in Android. The web experience on mobile will also gain an upgrade with the tap of a link opening in the app rather than jumping over to the Chrome app. In-app browsers linking into the Chrome API will allow this to occur. This feature is available now on the Chrome Dev Channel. Android Pay along with fingerprint support was added, as well as USB type-C connectors in phones with “really fast charging” as standard. For the UI support the copy paste gets an update, “direct share” to aid sharing within Android will be improved as well as the much-vaunted volume controls of Lollipop. For the user, the changes seem to be fairly small at this stage but we will find out very soon. The developer preview will be available for Nexus 5, 6, 9 and the Nexus Player soon. thats a forum thing right? ?